In February, we learned about the Olympics! Snowboarding, figure skating, the skelton, women’s and men’s hockey, curling, speed skating, skiing, the luge, and sledding. We wrote about what we would compete in if (and when!) we are in the Winter Olympics. We updated our tally marks for how many medals Canada won. We won a total of 29 medal! 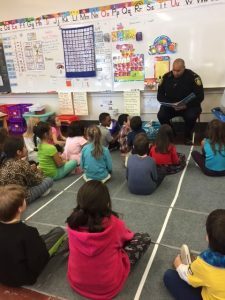 We had many readers come and share with us some stories during I Love to Read Month! Veronica Hamulka came to read her daughter’s favorite books, “The Princess and Pig” and “Prince Ribbit”. Georgie’s dad came to read and he read “Old Mac Donald Heard A Fart”. We loved making the different fart noises. 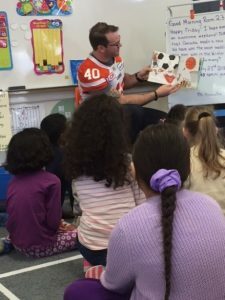 Mike Benson from the BC Lions came and share with us what happens when you bring a mouse to school or give a moose a muffin. Mariam from Room 21 came to read her favorite Robert Munch book. Wab Kinew came to read to our whole school about different games of strength, agility, and endurance. Finally, Manitoba Opera came to read to us “Opera Cat” and teach us a vocal warm up! February was A LOT of fun and we LOVED all the books!